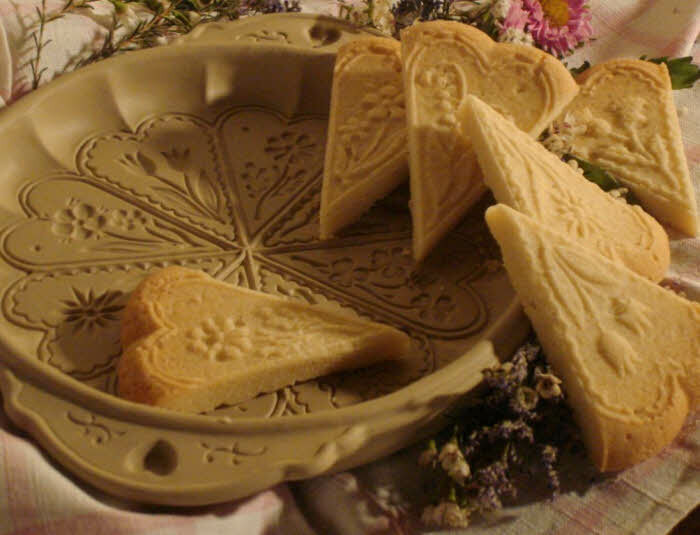 Make cookies that come from the heart for Valentine’s Day, Weddings, Mother’s Day, any time you want to let someone know that they are dear. 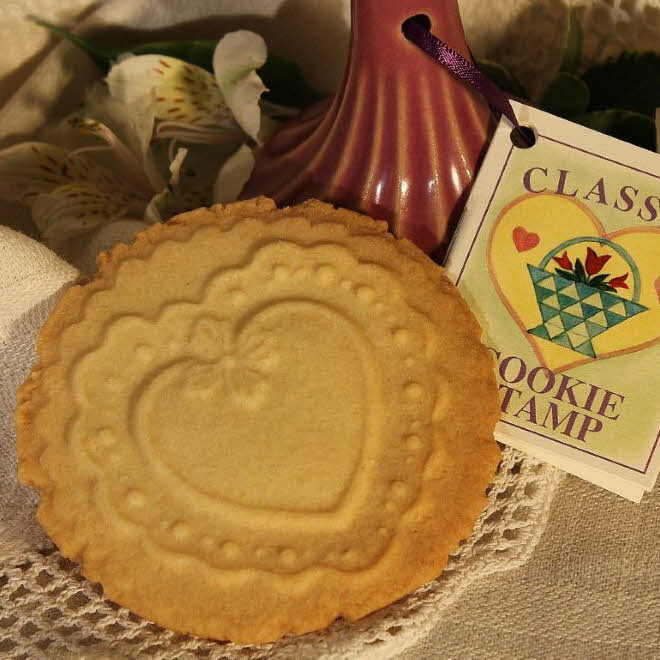 These Classic Heart Cookie Stamps make it easy to press remarkable cookies that are more than just a tasty treat. Choose from four designs; a romantic Ruffled Heart, a Tulip Heart inspired by Pennsylvania Dutch decorations, a Celtic Knotted Heart, and a Heart Basket, taken from a quilt I made years ago. Each comes with an instruction and recipe booklet tied to the fluted handle with a real satin ribbon. This classic knotwork heart was inspired by all of the beautiful Celtic designs I have seen in the borders of manuscripts. Being Scotch-Irish, I simply had to include this design in the mix. The simplicity of the central heart is set off by ruffles and scallops to create a very sweet, very romantic cookie. Inspired by designs painted on barns by the Pennsylvania Dutch, this heart has a clean simplicity that I love. The cookies are sweet and very dramatic. Years ago, I made a quilt for a dear friend with this design. For me, this is a “Friendship Heart”. Bake some cookies for friends of yours. 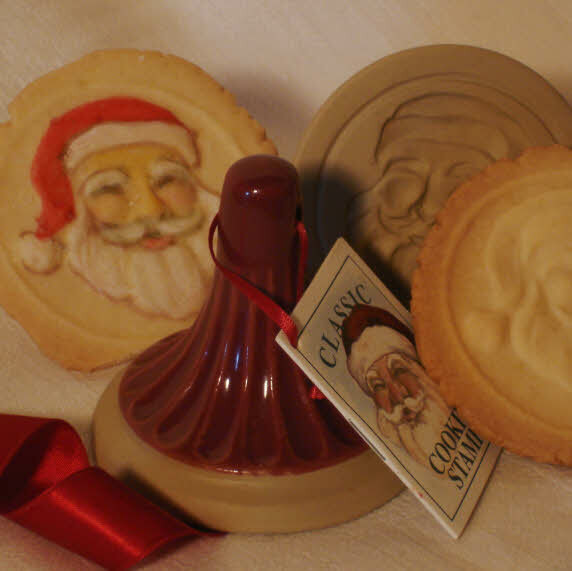 Do you have the original cookie stamp’s with handles. I have a book of all the old collection. 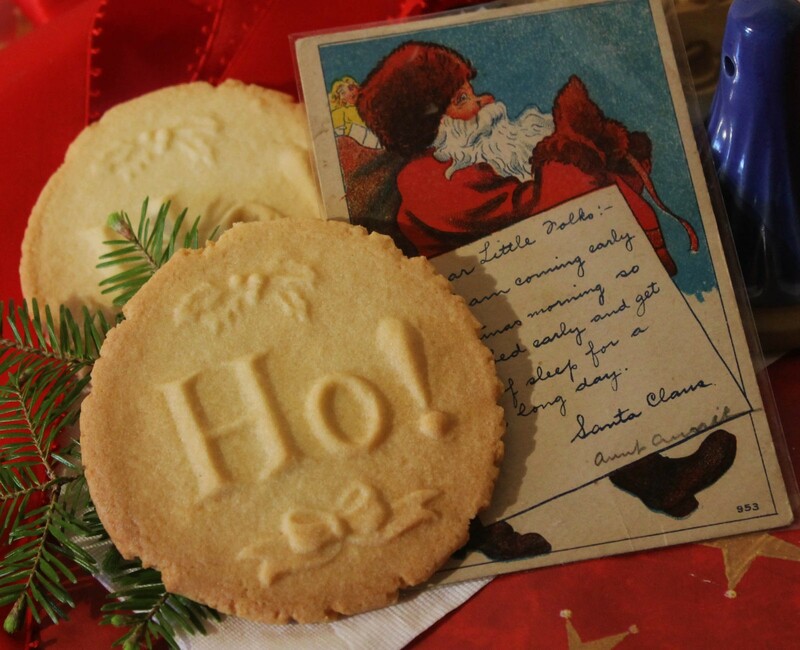 We used t make the large cookie stamps with the decorative handles, but we haven’t sine 2001 or so. I don’t have any that I could sell, but I’m sure you can find things on e-Bay. I am always amazed by how much Brown Bag they have up. I didn’t know there was a book!